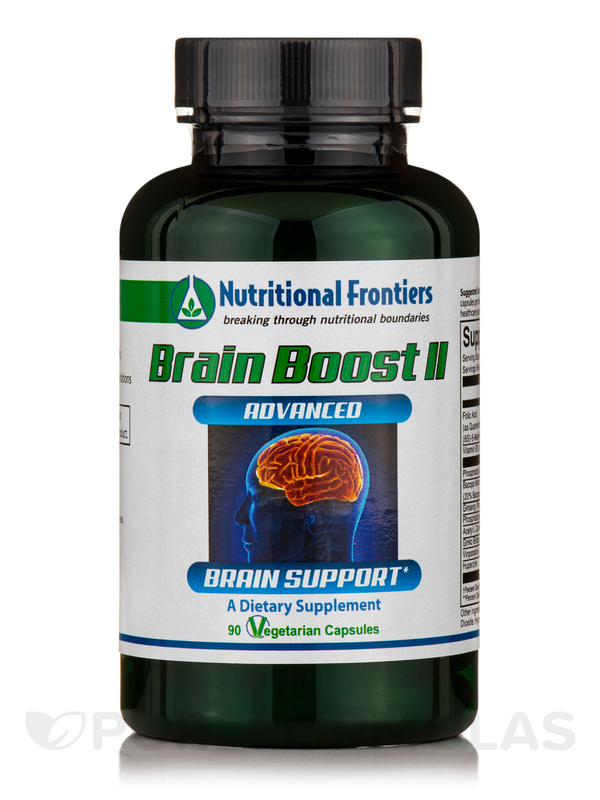 Brain Boost II is an advanced nutraceutical formulation designed to maximize optimal brain function. 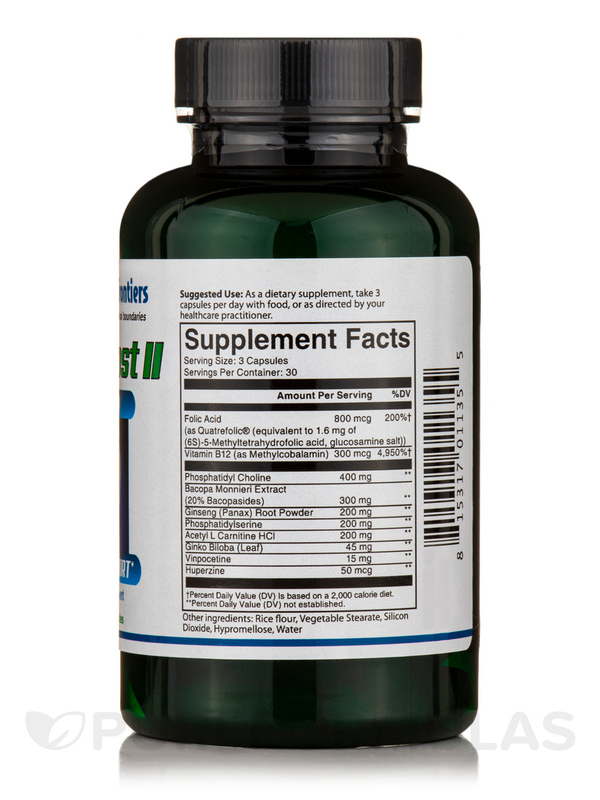 This comprehensive formula combines beneficial levels of key ingredients to support and boost memory‚ focus‚ mental energy‚ mood‚ attention span‚ acuity‚ efficiency of your work‚ and the ability to absorb new information. 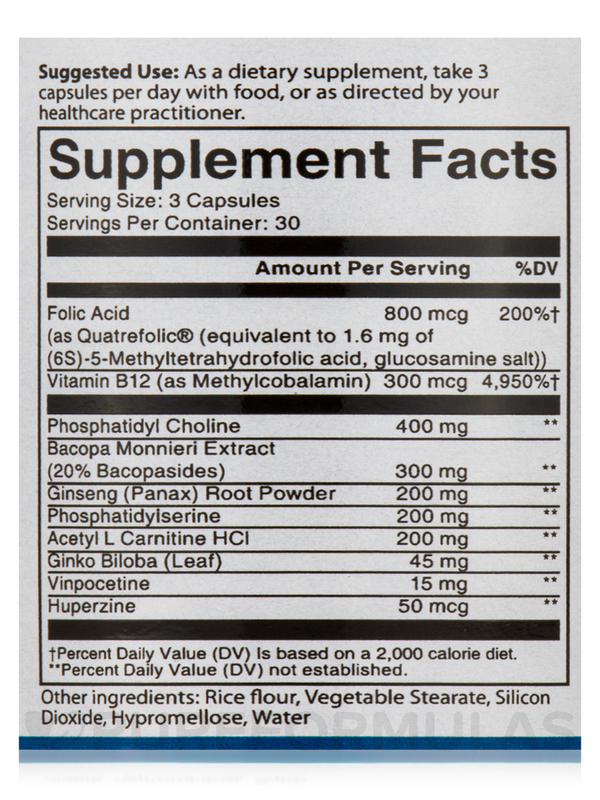 Other Ingredients: Rice flour‚ silicon dioxide‚ hypromellose‚ and water. 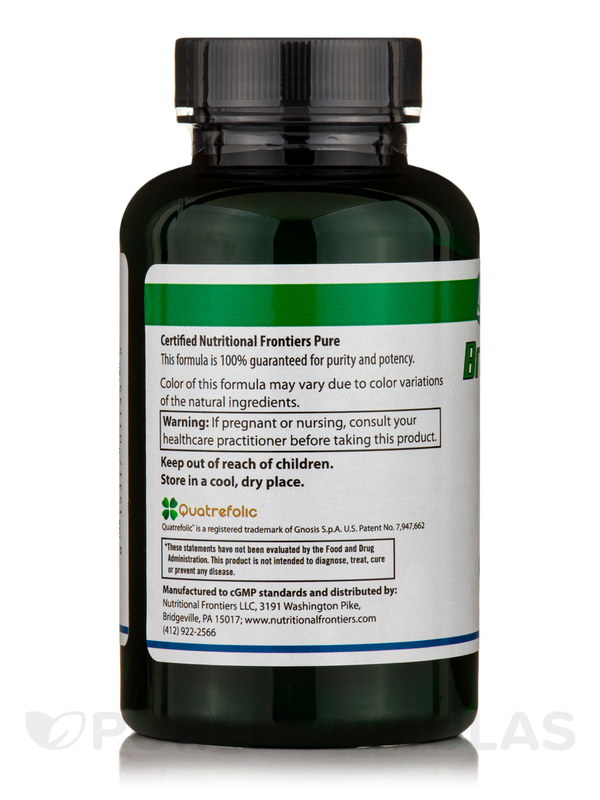 Certified NF Pure - This formula is 100% guaranteed for purity and potency. 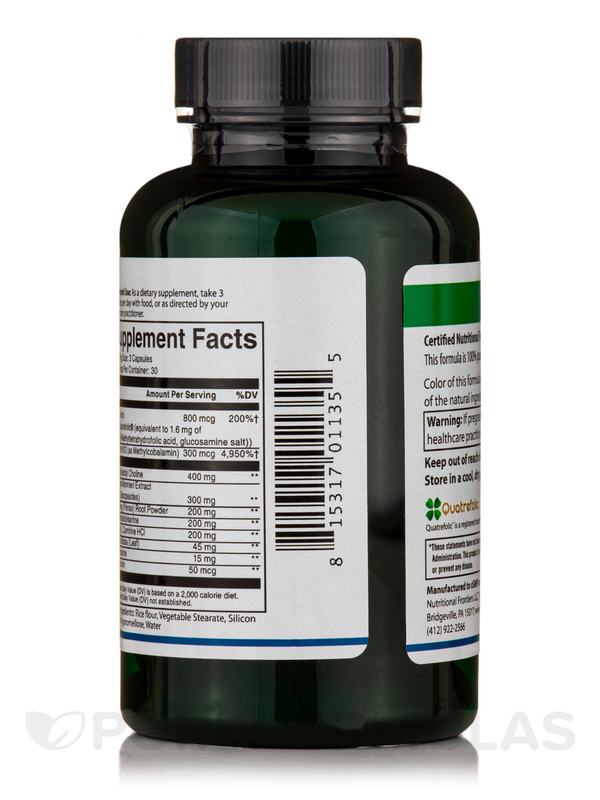 As a dietary supplement‚ take 3 capsules per day with food‚ or as directed by your healthcare practitioner.